Gavstrik – Nordic knitting symposium was held in the town of Borgarnes in West Iceland this week. I drove up there yesterday and gave a presentation about yarn graffiti for 100+ knitters. I really enjoyed it and I hope that I have inspired some knitters to yarnstorm. 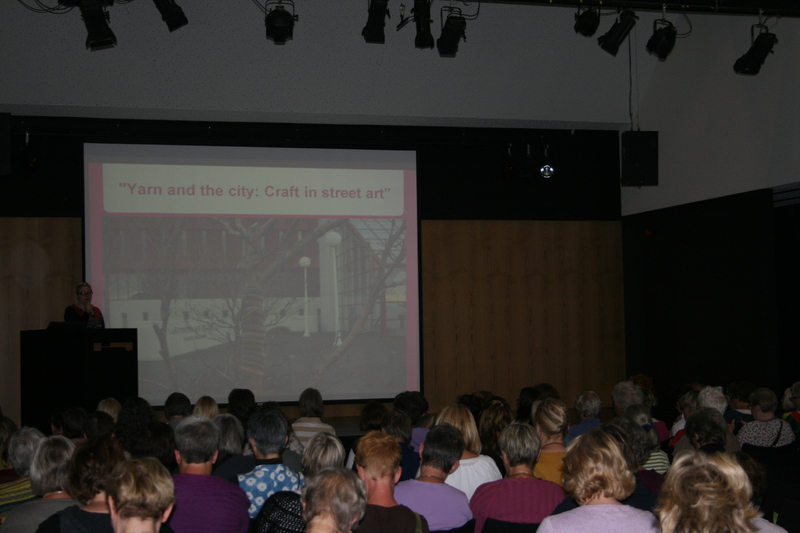 Here I am, talking about my thesis in folklore: Yarn and the city: Craft in street art. For the first time in my yarnstorming career I was busted in action and photographed…. Posted in life, yarn graffiti and tagged yarn graffiti, yarnstorm. Bookmark the permalink.